(HELENA) – The Helena Symphony and Carroll College today announces their continued collaboration for the eleventh annual Symphony Under the Stars concert event and fireworks show on Saturday, July 19 at 8:30 p.m. on the campus of Carroll College. 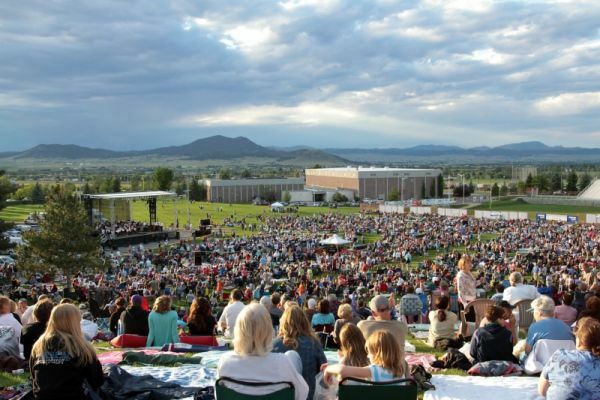 Considered the largest summer event in Montana, the much anticipated Symphony Under the Stars attracts over 15,000 people from all over the state of Montana and beyond. In addition to celebrating the city of Helena’s 150th birthday, this summer will bring THE MAGICAL MUSIC OF DISNEY for the 11th annual Symphony Under the Stars. Featured will be the great musical scores from Mary Poppins, The Jungle Book, Lion King¸ Aladdin¸ Beauty & the Beast, Toy Story¸ Pocahontas¸ Cinderella, Little Mermaid, and The Pirates of the Caribbean. “We are grateful to our sponsors for helping ensure the viability of an event that so many Montana families continue to make a part of their summer plans,” said Tom Evans, President of Carroll College. The Carroll College Guadalupe Lawn will be open on Saturday morning for concertgoers to drop off lawn chairs and blankets. Pets, plastic tarps, paint, rocks or stakes in the ground are strictly prohibited on the lawn at all times. Picnic dinners are encouraged, and there will be a variety of local vendors on site selling food and beverages. Concertgoers are encouraged to bring canned goods to hold down blankets, and then donate the canned goods to the Helena Food Share. Last year, over 12,000 pounds of canned goods were collected and was one of the largest single day food collections for the Helena Food Share. There will be several drop boxes to deposit the canned goods the evening of the concert. Admission is free and very limited reserved seating is available for $25 each through the Helena Symphony box office at helenasymphony.org, or by calling 406.442.1860. Seats go on sale on June 2nd. Up-to-date news regarding the concert can be found at www.facebook.com/symphonyunderthestars.